The UnoBAT 62+ System provides excellent performance and safety, along with the ability to accommodate all types of irregular sub-floors. 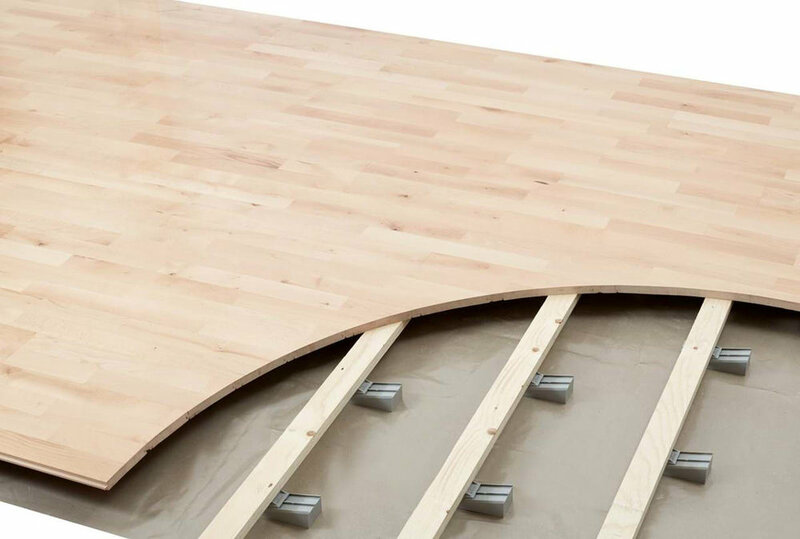 The 22mm solid hardwood floor boards are fastened to a sub-floor system consisting of single layer engineered battens with pre-attached shock absorbing rubber pads. UnoBAT62+ is an Area elastic floors - It deflects any impact over a much wider area and has greater shock absorption and vertical deformationthan a typical Point Elastic floors.